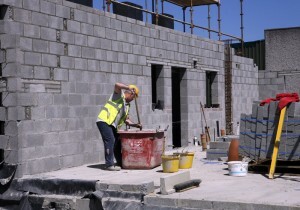 A new report by DKM Consultants shows that the Irish construction industry can grow on average by 9% per year up to 2020 but warns there are potential skills shortages. 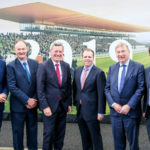 The report, commissioned by the Construction Industry Federation and carried out by DKM Econmic Consultants in conjunction with SOLAS, states that construction activity could potentially generate a requirement for 112,000 jobs up to 2020. The report says the potential prize for delivering on these strategies is huge in terms of economic growth, jobs and recovery in the regions. With a forecast of 9% annual growth on average the construction can become a €20billion industry by 2020. 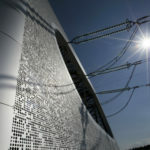 It can potentially employ 213,000 direct employees making it the largest generator of jobs in all communities around the economy. It is forecast to contribute around 10% of GNP to the Irish economy. The construction industry is generally in recovery since 2013 but it is still grappling with nearly a decade of underinvestment and is playing catch up with an economy that has expanded strongly in the meantime. This is manifest in the acute housing supply shortage and infrastructure deficits across the country. 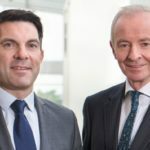 “In 2015 the value of turnover in the construction industry was around €13 billion, representing 6.2 per cent of economic activity (GNP), down from almost one-quarter of the economy at the height of the last boom. There were 136,900 persons directly employed in Q2 2016, 6.8 per cent of the total employed workforce. 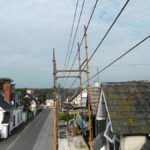 “The severity of the construction recession saw the numbers working in construction decline by almost 180,000 by Q1 2013 to just 35 per cent of the numbers employed at the peak (2007). Construction recorded the fastest rate of employment growth in the period since, gaining 39,200 jobs at a rate of around 1,000 per month. “We as an industry are focusing on dramatically increasing the number of apprentices in the industry. 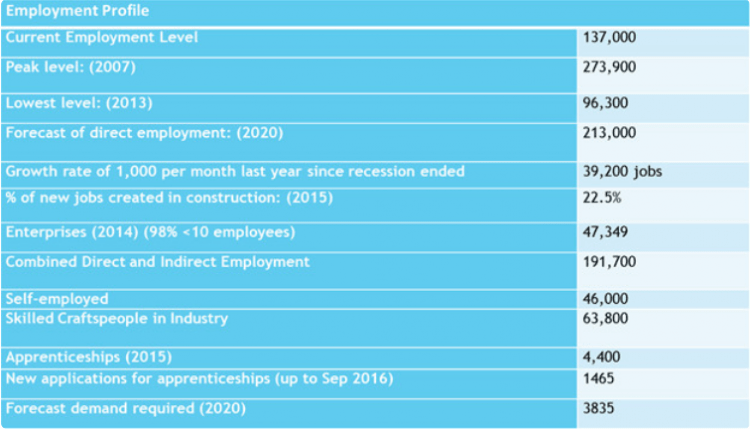 There were only 4,400 apprentices across all trades in construction in 2015 compared with 23,700 apprentices in Q4 2007. This year so far there were around 1,500 new registrations and this report indicates that we need to reach an annual level of registrations of around 4,000 to sustain forecast activity. The scenario presented for construction output shows that the value of output recovered in 2015 to around €12.65 billion (6.2% of GNP), having reached its lowest value in the current cycle in 2012 (€9.4 billion). The outturn for 2015 is based on 12,666 house completions. For 2016 the forecast is for 14,000 new dwellings, growing to 20,000 units in 2018 and 32,500 in 2020. The overall volume of construction output is forecast to increase by 12.5 per cent in 2016 to around €15 billion (6.9% of GNP), followed by growth of 8.5 per cent in 2017 and 7.1 per cent in 2018. The average annual growth rate in the period 2016-2020 is projected at 9.1 per cent. 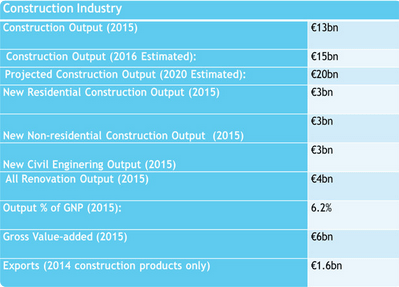 The volume of construction output by 2020 is forecast to reach €20.2 billion (in 2015 prices), or just over 10% of GNP. 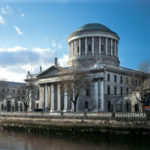 When the gross value added (GVA) of the industry is measured – its contribution in terms of the wages and profits earned by building workers and construction companies – the construction GVA was valued at €6 billion or 3% of GNP in 2015, compared with less than 2% at the height of the recession and 11% of GNP at the peak. Although the scenario presented is subject to a number of downside risks, including uncertainty over Brexit, there is a substantial volume of work planned by the commercial and industrial sectors in response to the economic recovery and the growth in population. There is also considerable pent-up demand for housing, which, if delivered, could see the level of housebuilding by 2020 returning to more normal levels. The industry is in recovery phase and is on course to experience the most positive outlook for construction in a decade, provided it has the skills available to meet the demands on the industry. There were 136,900 persons directly employed in construction in Q2 2016, 6.8 per cent of the total workforce. When persons indirectly employed in those firms and services supplying the construction sector are included, the total number employed was 191,700 or 9.5 per cent of the total workforce in Q2 2016. There were 63,800 qualified skilled craftspersons with construction-related skills in the whole economy in 2015. 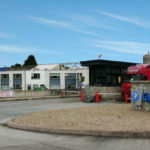 ­There were around 46,000 self-employed persons in the construction industry in 2015, which corresponds to 36 per cent of the total number working in the industry. ­Based on the construction output scenario presented in this report, it would seem sensible to plan for an industry that will provide direct employment for around 213,000 persons by 2020, compared with 136,900 in Q2 2016. This amounts to an additional 76,000 jobs over the next four years, and would return direct employment in the sector to Q4 2008 levels. ­The cumulative labour replacement demand in the period 2016-2020 is estimated at almost 36,000 construction workers, which is significant in the context of the total expansion demand by 2020. Based on expansion and replacement demand, the total labour requirement over the next four years is around 112,000 workers. ­The total skilled craftspersons working in construction in 2015 was 48,900. The industry will require an additional almost 36,000 skilled craftspersons (including apprentices) by 2020. The forecast of the total requirement for new apprentices in 2020 is 3,835, over 2,000 above the intake levels for the most recent calendar year (2015).